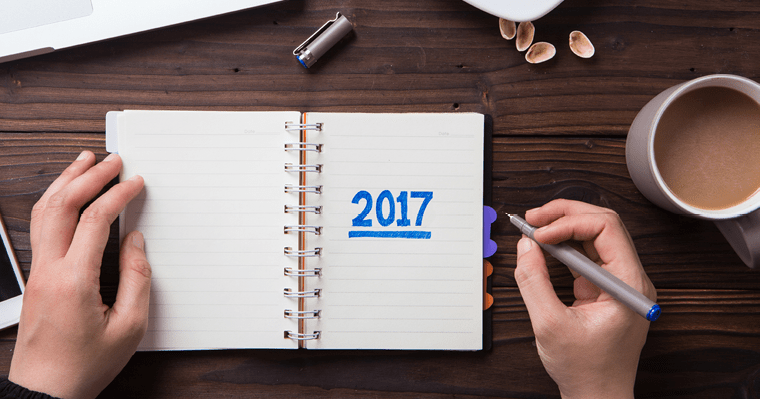 As the year comes to an end, you no doubt have thought about what your life will look like in 2017. But have you considered what your smile will look like in 2017, or for that matter, in 2027? Your smile’s future health and appearance depend largely on how you define your dental routine now. Now is the perfect time to plan and commit to taking better care of your most precious asset in 2017 — your self-image. To protect and prevent your smile from decaying when you need it most, we recommend setting these three practical new year resolutions for a better dental routine. 1. Brush and floss daily. Brush your teeth for two minutes at least twice a day (or after every meal). Bonus: Swish daily with an antibacterial mouth rinse to help prevent further problems. Brushing, flossing, and rinsing all contribute to a healthy smile for life! 2. Choose a balanced diet. Diversify your diet by incorporating fresh fruits, nuts, and veggies of your choice instead of packaged items. Drink more water. It’s as easy as keeping a bottle of water close by throughout the day. Limit coffee, wine, and sugary snacks intake to prevent dark or yellowish stains. When you do have a sugary snack (we all do every now and then), brush your teeth afterward or rinse with water. Avoiding sugar-packed foods and drinking more water goes a long way keeping your smile and health at their best. 3. Schedule cleanings in advance. Maintaining a good dental routine requires more than just eating healthier and brushing your teeth more often. Only a qualified dentist can help protect your smile, keeping it in optimal shape and preventing minor issues from becoming major, more expensive problems. We recommend scheduling a dental exam and cleaning every six months. Keep your smile bright and in optimum health. Diagnose gum disease and invisible signs early. Check for and identify signs of potentially serious conditions early, such as oral cancer. Prevent greater costs and problems in the future. Good hygiene and a healthy diet do not substitute the need for routine dental checkups. Make your dental appointments more convenient by choosing suitable dates in 2017 and scheduling them in advance. For most of us, visiting the dentist, flossing, and eating more vegetables may not exactly be things we look forward to. The good news is that with a little preemptive planning, you can set yourself up for success in your resolution of maintaining good oral health. Print and post this free 2017 Resolutions Worksheet on your refrigerator to visualize and take decisive steps toward keeping your smile healthy for decades. Feel free to apply our suggestions as you see fit. Our biggest resolution is to continue helping families in our community establish strong dental routines and to keep their smiles in top shape. Call today to schedule your 2017 dental visits and set yourself up for success in the new year! What are your resolutions for 2017? Let us know in the comments below!